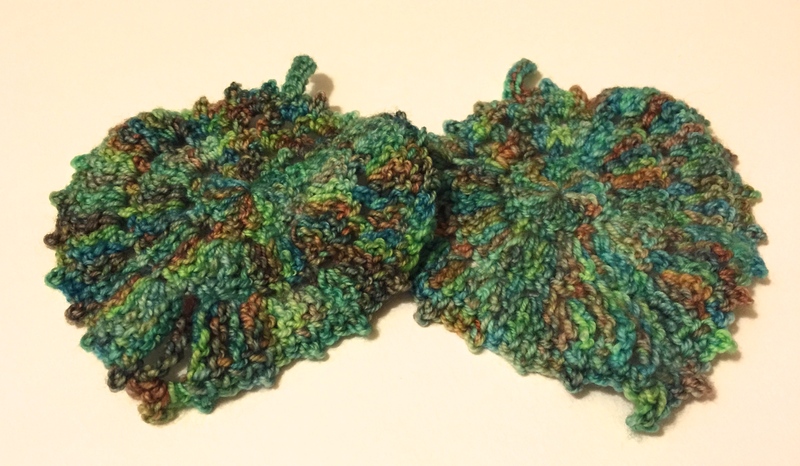 Perfect find for someone who loves trees… Crochet leaf coasters! This project was rated as 3 out of 5 stars for difficulty. I was a bit nervous to start with as it was a relatively complex pattern for me and I was still quite a beginner. It had varying stitch placements, number of stitches and quick variations in the type of stitches. This pattern also introduced me to the DC picot stitch. However, despite this, after only a few starts and re-starts I got the hang of the pattern relatively quickly. I had to focus on following the pattern closely when completing the first one but I eventually did it, although I doubt it was in record time! Once I had completed the first one, it was much easier to work through the remaining 5 needed to compete the set! Now that they are all completed, I am very happy with how they turned out… so happy in fact I made some extra ones for myself! The moral of this make – never throw away an old magazine or left over wool… It will always come in handy!